Being the victim, paradoxically, can place one in a position of power. Few are game to disagree with victims (or their supporters), or question motives, or challenge them in any way for fear of being seen as an uncaring bully. When Aboriginal identity and mandated ‘respect’ are factored in, questioning victim status will likely be seen as tantamount to racism. Therefore, adopting the victim role (feeling upset, offended, outraged, racially vilified, or whatever) can be a very effective and convenient way of silencing dissent, and inducing feelings of guilt in others. Silencing others provides the ‘offended’ victim with a sense of power over others – and that feels good. Victims remain unchallenged with their victim status intact and unassailable. Any open debate on the problems facing Aboriginal people is stifled. The interest of the political parties in maintaining an Aboriginal problem is compounded by the existence of a small group of Aboriginal activists whose vocation is confrontation, who generally derive their own income from governmental sources, either directly or indirectly and who must have poor Aborigines to point to in order to have a raison d’etre themselves. More recently, Peter Sutton has argued in his The Politics of Suffering that some people’s careers can depend on the perpetuation of victimhood. There are therefore, people with a vested interest in having Aboriginal people maintain a view of themselves as victims. This has led to the term ‘Aboriginal industry’ – describing the many positions as ‘cultural experts’, consultants, advisers, etc., devoted to addressing Aboriginal issues. People in these roles are reluctant to give them up. When trying to argue against those who have a vested interest in viewing Aboriginal people as victims, I am reminded of what Upton Sinclair once said – “It’s difficult to get a man to understand something when his salary depends upon his not understanding it”. When some Aboriginal opinion leaders and their non-Aboriginal acolytes continually speak on behalf of Aborigines, it should come as no surprise that self-reliance is eroded and replaced with dependence. Add to the equation a readily available welfare system (aptly described by Noel Pearson as ‘welfare poison’), and you have the perfect environment for self-doubt and reliance on others. Being the victim pays dividends – and those dividends can be very attractive when the alternatives are so much tougher. It is only natural that people will take ‘the path of least difficulty’ – even in the face of the fact that, in the long-term, such a path is very difficult indeed! But even as King was reaching the apex of his influence … forces were at work that would undermine this movement of integration and equality. Some of the opposition came from irreconcilables in the white world who had trouble giving up the old ways. 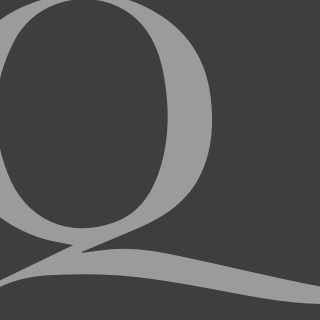 But this group was an ever shrinking minority … A more serious challenge to King came from within the black community itself, where a radical fringe … developed into a movement for black power – an ideology of separatism addicted to theories of white guilt and “institutional racism,” and to demands for reparation for black suffering. I believe a similar situation is happening here in Australia. Accusing ‘whitefellas’ of oppressing Aboriginal people is very common, but I believe the most damaging messages for Aboriginal people come from other Aboriginal people, most damaging because these messages are seen as emanating from a trusted source – other Aboriginal people. When non-Aboriginal people are regularly portrayed as the enemy, it is then (wrongly) assumed that Aboriginal people must have the best interests of their people at heart. Australia is a great country to live in, but there are some who see it as a racist country. Aboriginal leader Professor Gracelyn Smallwood has stated, “whether we like it or not, Australia is a racist society”. Rob Ranzijn and his co-authors have stated in Psychology and Indigenous Australians: Foundations of Cultural Competence, “At a day-to-day level, Indigenous Australians are constantly victims of racism and discrimination”. Anthony Mundine has expressed his opinion that Australia is a racist country. The problem with such claims is that the basic assumption of wide-spread racism is largely accepted without any real evaluation of what a ‘racist society’ means. While those who believe that Australia is a racist country may have personally experienced racism themselves, we need to ask, just how widespread is racism in Australia, and how severe is it? Claims of racism are backed up by subjective ‘self-report’ surveys. For example, in the summary of a survey on racism, Victorian Health state that their survey measures participants’ self-reported experiences of racism, yet their findings in Mental Health Impacts of Racial Discrimination in Victorian Aboriginal Communities (2012) are worded as if actual verified experiences of racism took place. Such surveys are more likely to be reporting people’s feelings that racism exists somewhere, rather than objectively quantifying clearly ‘race-based’ negative experiences to which they had been subjected. Such surveys are then quoted and used to prove the existence of racism. Little real evidence is proffered and as a result focus is diverted away from the far more serious problems that affect Aboriginal people – education, health, employment, etc. I am not denying that racism exists in Australia; it does – as it does in any country. Further, quite clearly, the White Australia policy – abolished only in 1972 – defined Australia as White, and was racist by definition. In fact it is impossible to talk about White Australia without talking about racism in the same breath. Anyone born in Australia any time before 1972 grew up, to a greater or lesser extent, in White Australia with all its attitudes, assumptions, values, and prejudices. What I do question is the assertion that racism today is as widespread and as severe as some want to suggest. I further question the widely held assumption that overt racial prejudice is the major cause of the problems that some Aboriginal people experience. I believe it is more accurate to say, not only are most Australians not racist, but many other Australians are sometimes in such fear of being accused of racism that they overcompensate by making ever-increasing allowances for unacceptable Aboriginal behaviour. This naturally leads to an expectation of lower standards of behaviour for Aboriginal people, for example in child protection matters. This, in an anomalous kind of way, becomes racist in of itself. It’s just as racist to expect less of someone on the basis of their race or ethnicity as it is to offer them less – and it is ultimately far more damaging. Where overt racism exist, it needs to be weeded out and the perpetrators dealt with. However, one of the barriers to weeding out racism is the focus on confected racism. It has become far too easy to make claims of racism when a non-Aboriginal person disagrees with an Aboriginal person. Or a racist motive is assumed (never substantiated, just assumed) when a person of mixed heritage is questioned about why they choose to identify solely as Aboriginal. It is one thing to claim to be victims of racism, but another thing entirely to prove it. Why wasn’t racism a problem for Jimmy? He likely valued his opinion of himself more than he valued some other people’s opinions of him. Jimmy did not say he never experienced racism, he just said it has never been a problem for him. I am all for enforcing the law that prohibits individuals from racist acts, such as not hiring Aboriginal people for a job even when they are the best suited. However, for other expressions of racism, such as racial slurs (which, interestingly, some Aboriginal people accept as being okay when spoken by another Aboriginal person), I am suggesting that changing one’s response to the slur will be far more empowering than trying to change the person speaking the slur. Rather than taking offence when such slurs are spoken (which is extremely disempowering), perhaps a better response is to laugh. Laughing is not endorsing such racial slurs, but simply communicates, ‘I’m a bigger person than you’. Much like when confronted by a flasher, a confident laugh is more likely to deter such behaviour. The previous discussion raises the question, ‘Why do some people wish to sometimes see racism where it does not exist?’ I offer two answers here, but before I do, consider Aboriginal Elder Shane Mortimer’s quest for compensation because he felt offended when Don Aitkin, a former Vice-Chancellor of the University of Canberra, said he looked “about as Aboriginal as I do”. Are such statements racist or offensive? Some people wish to make them so. Why do some people see racism where it does not exist? Firstly, hear Black American author Shelby Steele, who talks of the belief held by some that the litmus test for being black is to accept racial victimisation — not as an occasional event, but as an ongoing identity. In other words, he is suggesting that many believe that being the target of frequent racism is necessary ‘evidence’ of being black. Secondly, as Amy L. Wax notes in Race, Wrongs, and Remedies: Group Justice in the 21st Century, suggests that using ongoing discrimination to explain the existing gaps between Black and White Americans is the “litmus test for the dedication to the cause of racial equality”; and naturally, most people like to think of themselves as opposing racism and racial inequality, but in order to oppose something, you first need to believe it actually exists. Perhaps some believe that claiming to have experienced racism is proof of being Aboriginal. This is possibly true for those whose Aboriginal ancestry is so minimal that they seek other ‘evidence’ (such as, ‘I’m a victim of racism’) to support their claim of being Aboriginal. The victim-oppressor relationship can only exist when an individual (or group) sees others as fundamentally different. Separatist views embraced by many people fuel the victim cycle. Abandon these false beliefs and you break the cycle. Aboriginal and non-Aboriginal people need to begin seeing each other as Australians with common needs and shared interests – not us-vs.-them. This would embrace the spiritual concept of the oneness and connectivity of all life that traditional Aboriginal Australians lived by. Seeing each other as equals in no way denies the past or appalling health and social inequalities. It simply recognises that all people (Aboriginal and non-Aboriginal) have the same fundamental needs, sees oneness and interconnectedness rather than differences and divisions, and serves as a basis for working together. Let’s recognise that current mindsets and policies, which assume Aboriginal people are vastly different from other Australians, do not work. The time has come to re-examine how we deal with Aboriginal affairs if we are to see improvement in the lives of Aboriginal people. It will mean making unpopular decisions, and not being so quick to ‘play the victim card’. I am gladdened by what could be our future if we can do away with political correctness and victimology. Too many are ‘sickened to death’ because they see no hope. Maybe it is time to promote a new way of seeing to renew psychological and spiritual health as a solid foundation for physical and social health. It is important to continue programs that target physical health and well-being; however, such programs are more effective when they focus on both psychological and physical well-being. This is consistent with the holistic view of life that is both the wellspring of Aboriginality – mental, physical, spiritual, and cultural health seen as inter-related – and surely the key to healthy Aboriginal life in the present and for the future. 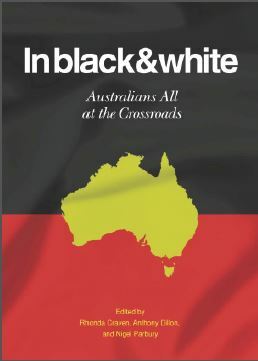 An edited excerpt from In Black and White: Australians All at the Crossroads, edited by Rhonda Craven, Anthony Dillon, and Nigel Parbury. Published by Connor Court, the book will be launched in Perth on June 5, 2012. Further details can be found here.